Get quick access to the signature sound of Grammy®-winning producer/mixer Greg Wells (Adele, Katy Perry, OneRepublic). Four plugins for vocals, piano, and your full mix. Grammy®-winning producer, songwriter and mixing engineer Greg Wells is one of the leading hitmakers of our time, with songs on over 85 million units sold. Created in collaboration with Greg himself, this plugin collection is a dream come true for aspiring music makers looking to achieve a first-rate mix quickly. Greg Wells VoiceCentric, giving you instant access to Greg’s signature vocal sound. Greg Wells MixCentric, a plugin that helps you finalize your mix, enhance its tonality, and – combined with your limiter of choice – bring it up to par with fully mastered material. 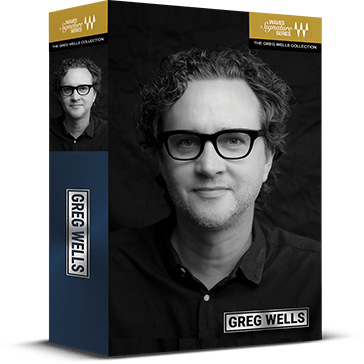 Greg Wells ToneCentric, for adding rich analog tone to your individual tracks or full mix. Greg Wells PianoCentric, a quick solution for shaping your piano and keyboard recordings, with options varying from gorgeous full-range piano to lo-fi filtered sounds.